We had plans laid out for a 2-day stay-- go straight to the Twin Lakes of Danao and Balinsasayao on the first day, roam around your streets at night, and visit Bais for dolphin watching on the second day. I had fever a few days before the trip and it felt like I was coming down with a flu, but Sunday morning I felt fine enough to catch the flight and see you. At the back of my head I thought I was going to see you as Bacolod's twin. But no. You are as different as the opposite sides of the Negros island that you occupy. Your streets are wider, most of your people use motorbike, and foreigners are everywhere. Next to Boracay, I thought you had the most number of foreigners I saw lounging early in the afternoon. I had mixed impressions of you. We were feeling low and thought we could use some sleep, so we scratched seeing the Twin Lakes and decided to find ourselves a place to stay first. We found ourselves drawn by Honeycomb Inn facing the bay along Rizal Boulevard. There were cheaper alternatives but Honeycomb was an old house of such a character that we were willing to spend a little extra. 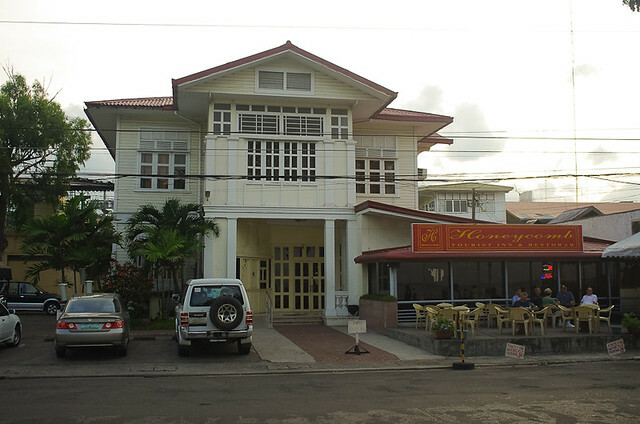 The room was priced at PhP1200 with breakfast included. The room was homey and I felt like I was staying in one of the rooms at my Grandma's house. Can you have more inns like this? It was beyond my budget for accommodations, but looking back, I knew I got my money's worth. After a couple of minutes of sleep, we dragged our hungry selves out of Honeycomb Inn, not wanting to miss the chance of seeing what you had to offer. 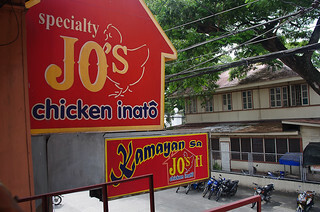 We found Jo's Chicken Inato located a few blocks away from Honeycomb Inn, right beside of one of Silliman University's buildings. 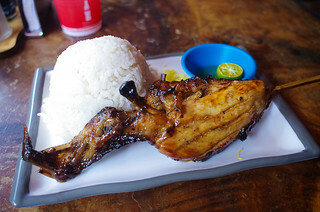 They serve the usual Visayan staple of rice and roasted chicken plus a couple of other pancit varieties. My taste buds were uncooperative but I knew that the chicken was juicy, too bad I just couldn't taste it well. It was finally time to see you as the university town. Majority of the establishments were closed on a Sunday and most places were deserted. It was the perfect time for an afternoon stroll. 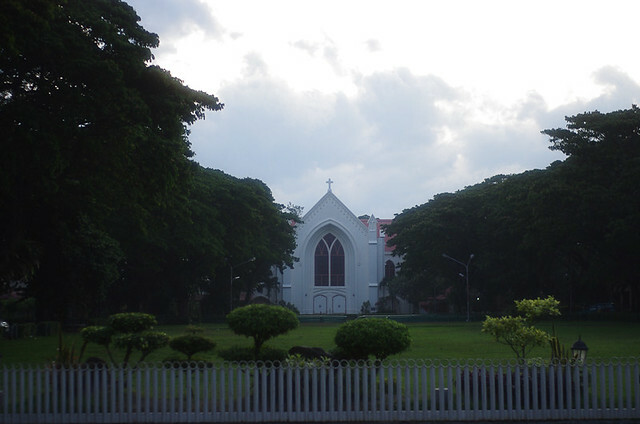 We walked around Silliman's perimeter. The huge trees and the scattered buildings reminded me of UP Diliman. But where are your people? Where do they go on a Sunday? We saw some of them in the town mall but surely, the kolehiyalas must be somewhere else. By the time we got back to Rizal Boulevard, it was almost sunset. I was surprised to see a small gathering at the far end of the bay. A couple of steps nearer and we found out it was the famed 'tempura' strip! The vendors and their stoves were neatly lined up in rows and several tables were set up at the back. I'm sorry I didn't buy a tempura (which looked like kikiam to me). It was hard to entice my failing appetite. But I promise I will when I see you again. 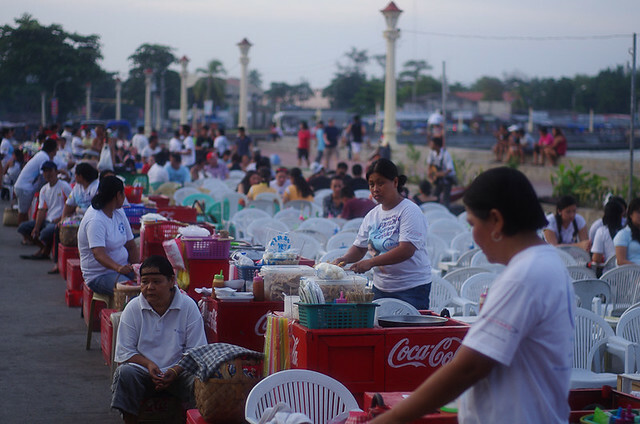 You make eating street food an organized experience. 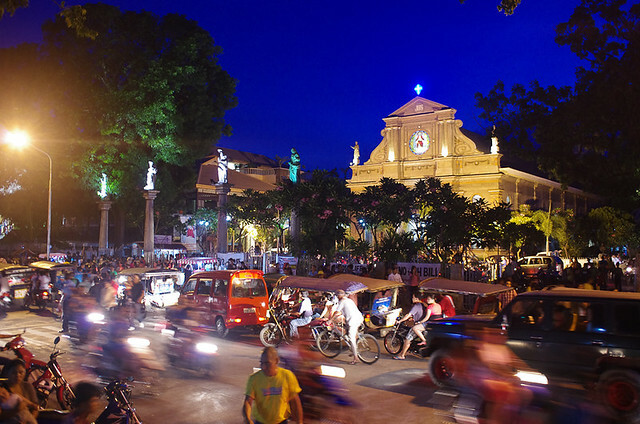 We walked further into the side streets to see the Quezon Park. We finally found where your people are! They were making their way out of the church across the street. Some were lighting the candles below the belfry. Suddenly, I was in the middle of a busy town. 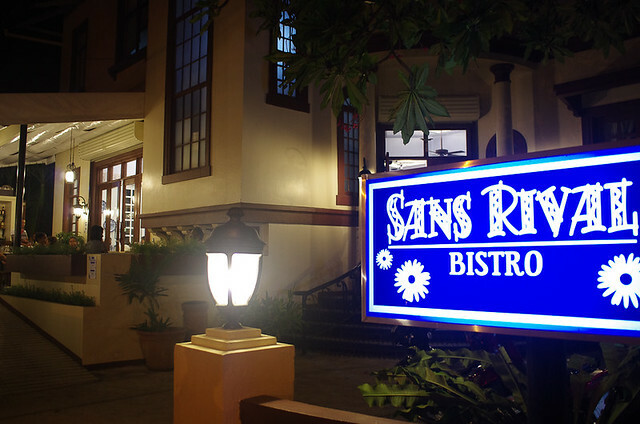 For dinner, we were supposed to go to Lab-as but we ditched the plan again and headed to the nearby Sans Rival Bistro. I chose a dish with a fancy name and it turned out to be an order of adobong pusit. It's just a dish name. Why complicate it? I thought it was bland but Aaron said the food was fine, even delicious. Forgive my taste buds. They were failing me all day long. What convinced my difficult taste buds were the chocolate sylvanas. It was the only thing that got through and tasted real good to me. I'm pretty sure their specialty, the sans rival, was fantastic too. Only I couldn't taste it. How unfortunate of me. I'm sorry for thinking that Zanzibar Lounge across Sans Rival Bistro was a play of words. Zanzibar and Sans Rival sounded funny to me. I didn't know that there is a real place called Zanzibar, part of Tanzania. Forgive me for laughing at that a bit. The next day was the day we were supposed to see the dolphins! We were up early for breakfast and we were just in time to see the sun bathe you in a golden light. It was a great day to catch the sun at Rizal Boulevard. I sat on the diner, waiting for our breakfast and just enjoying the sun's warmth. What you didn't know is that while we were having breakfast, I felt so sick I almost vomited. My fever was back again, I had an intense lower back pain, and I was feeling cold. As much as my mind wants to go and see the dolphins, my body just wants to go back to bed and curl up. I was weighing my option of having myself checked at one of your hospitals but I was afraid that if it was something more than a fever, they might keep me and I won't be able to go home. We decided to go back to Manila on that same day. By 11AM, we were already on our way out to say goodbye to you. It was too soon. I still haven't tried the fried ice cream, the budbud, and the seafood dishes at Lab-as. I haven't seen the dolphins at Bais and I haven't experienced kayaking at the lake. I haven't been to Apo Island nor to the Mabinay Caves. I haven't heard a single reggae music at Hayahay (which 'sunset' ploy I still hate). I haven't seen how laid-back you could be. I missed a lot. I hated to leave and I would have not left if I could just will my body to get well to see more of you. But my body defeated me. It seems that the time is not right for us Dumags. Maybe someday. PS. I had dengue. And just so you know, I also missed Smashing Pumpkin's concert. I know. Mosquitoes are a real pain.